On Sunday I picked up several bags of soil for the large grey pot on the side of the Promenade (porch). It’s been empty for far too long since I moved it from the middle of the garden. 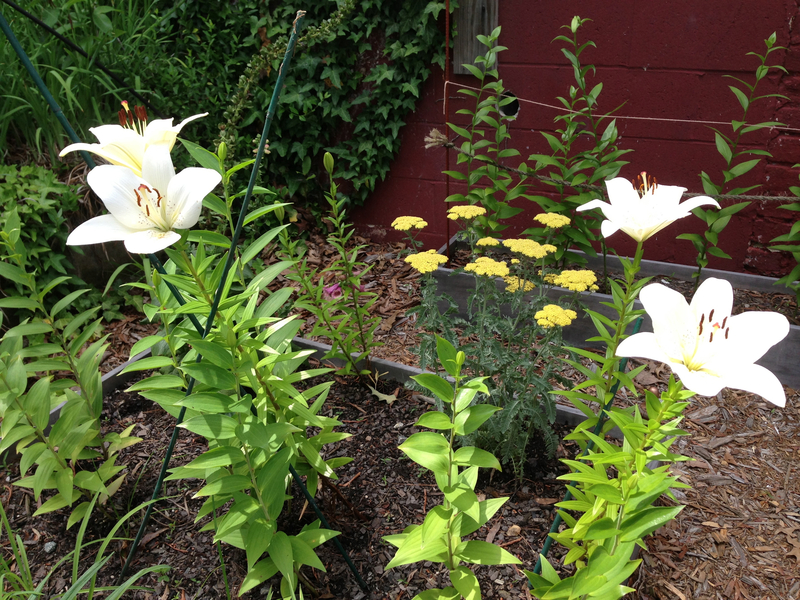 The 2013 America in Bloom is fast approaching. It’s a “national awards program for towns and cities of all sizes that provides a framework for improving the overall quality of life.” The judges will be visiting Tarboro 17 – 18 June to judge our town. 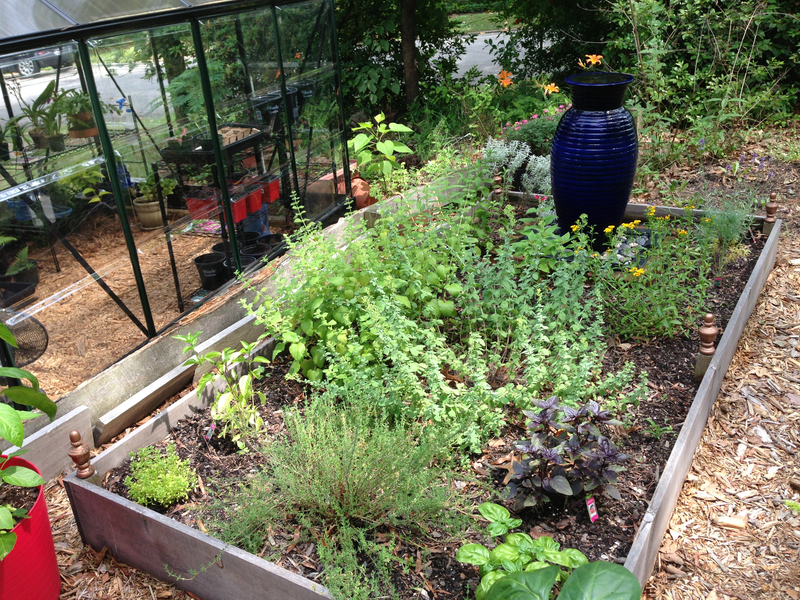 Essentially, we have to tidy up, cut grass, trim and edge everything, plant more, put down new mulch, etc. So this is what I was doing this past weekend and will continue next weekend. 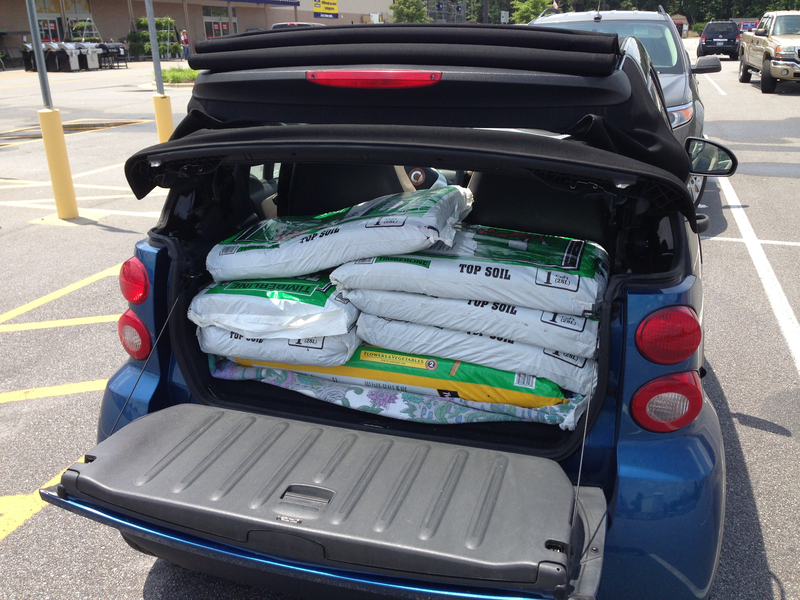 Seven bags of soil in the smart car. That’s right, seven! K-A can sit inside big empty grey pot! 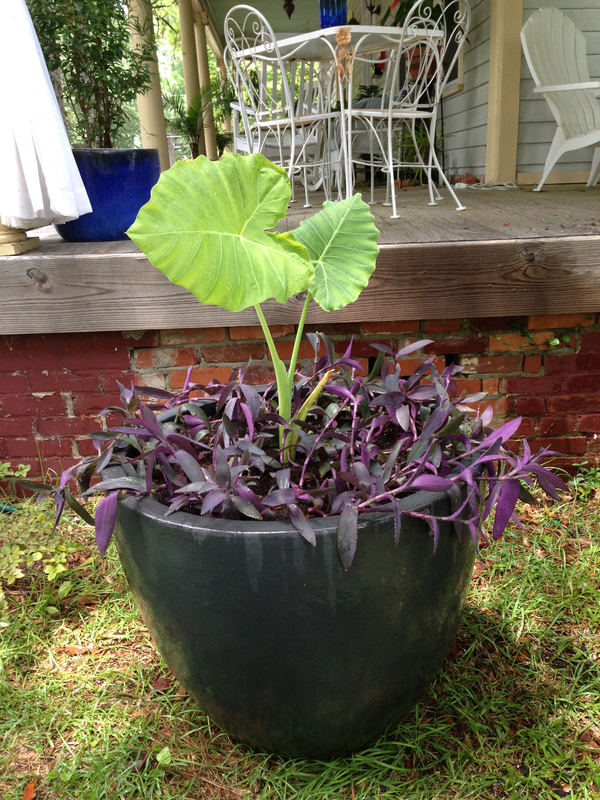 Planted with Thai Elephant Ear and Purple Setcreasea. The garden continues to do well. We had plenty of rain from the tropical storm that passed by and it seems everything in the containers grew another 2 inches in two days of rain. 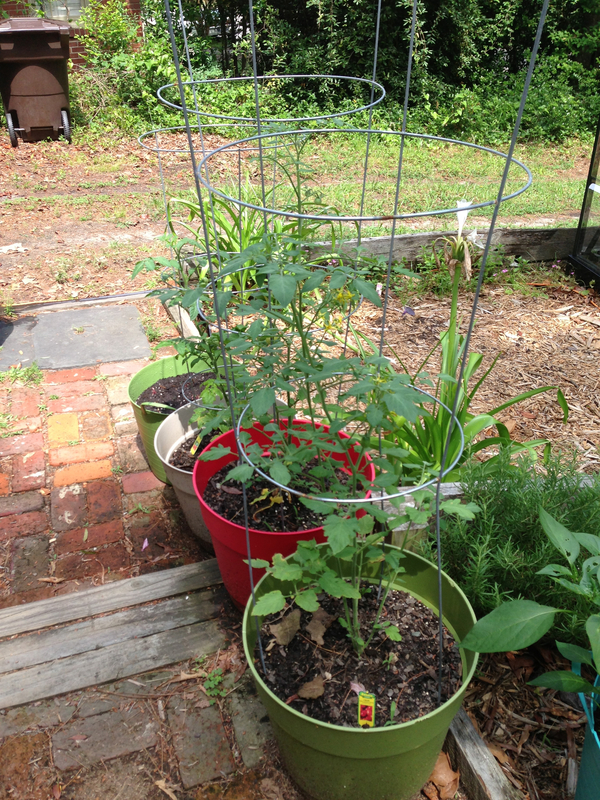 I am growing some vegetables in containers this year and have set them where the garden receives the most light. I really don’t get enough light for vegetables, but so far so good. I think having them in the containers and using a very good soil has improved the chance to actually make this work. 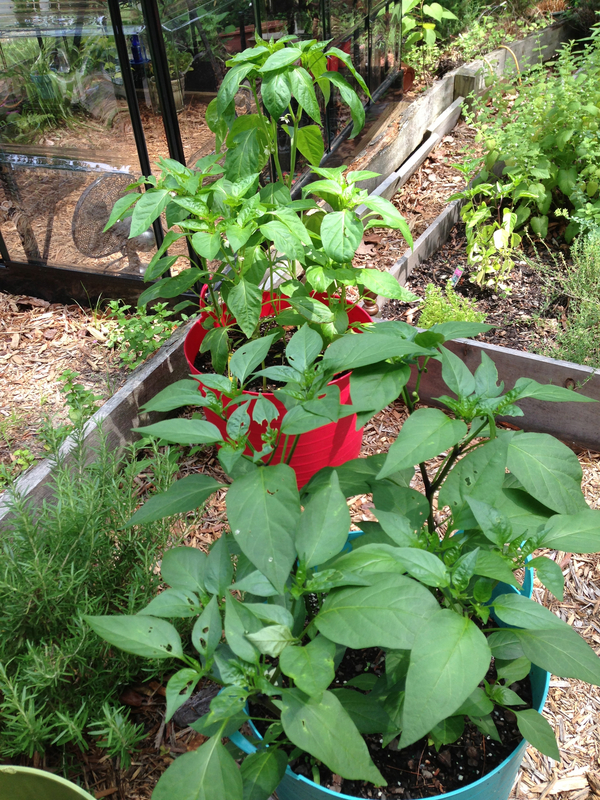 In front is Jalapeño and behind is Sweet Banana Pepper. I planted these carrots this weekend. They had been in the greenhouse in germination trays and I had the seeds for almost two years so I needed to use them. I am not sure they will work in containers, but I want to try. My personal preference has always been good old fashion terracotta, however in the past couple years I have been switching to some plastic containers for the vegetables mainly due to the cost factor. 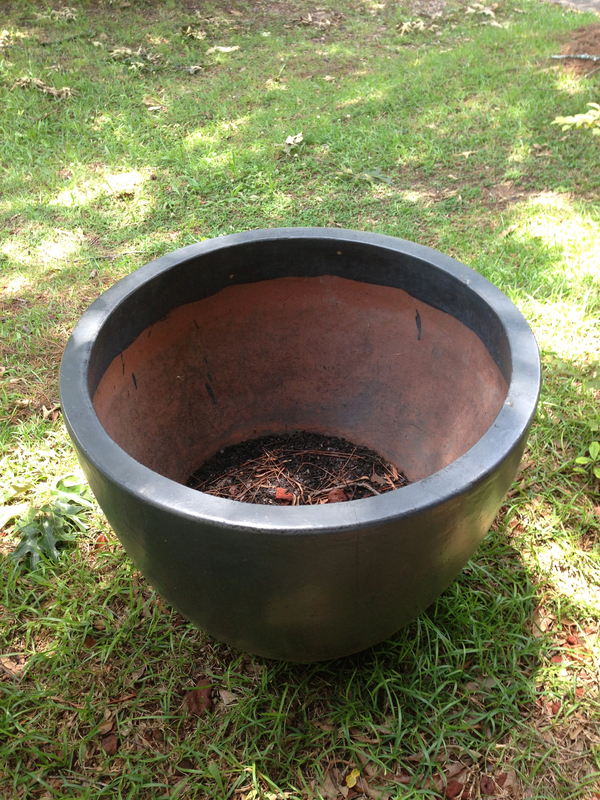 Prices for the larger size terracotta pots have gone up considerably. 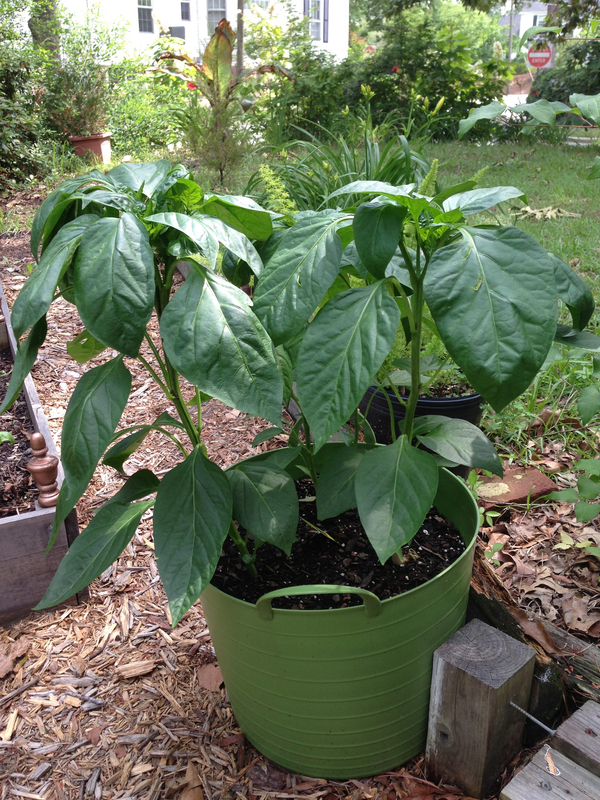 The benefit of a plastic pot isn’t just in the cost. It retains moisture in the heat of summer, which many plants such as tomatoes love. You just need to make certain there is ample drainage because the roots will rot otherwise. 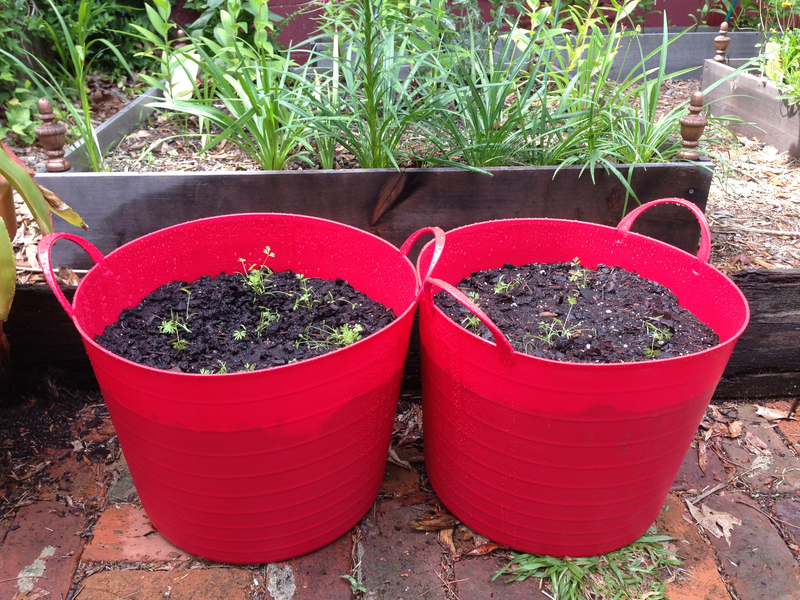 You may have noticed the picture of the bright red “pots” that I planted the carrots in? They are actually flexible plastic bins that I purchased from Wal-Mart for $4. 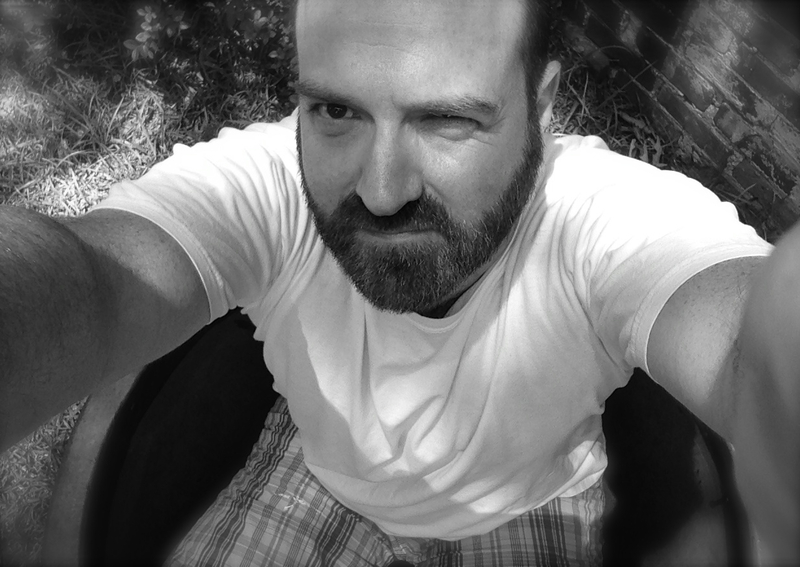 The bottoms are solid and I was able to drill a series of holes for drainage. They work perfectly! I also used them for my peppers and pimentos.